9 4/9 inches tall by 7 4/9 inches wide. 9.45 inches tall by 7.44 inches deep, weighs 14.29 lbs (6,48 kg). 9.45 inches tall by 7.44 inches wide. 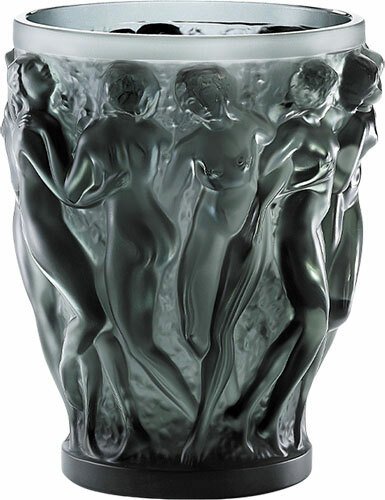 Designed by René Lalique, originally released in 2007, 9.45 inches tall by 7.44 inches wide.